As the Peirce – Year Up partnership is well into its second year, the program continues to break ground in innovative areas that are preparing students for careers in cutting edge fields. 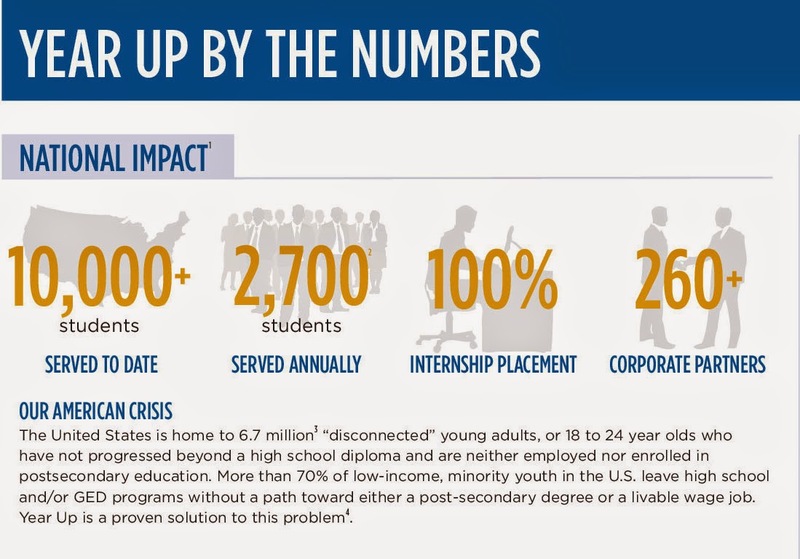 If you’re not familiar with Year Up, it is a non-profit organization founded in 2000 that connects low-income young adults to career opportunities in corporate America. The program combines hands-on skill development, college credit, and corporate internships to prepare students for success in professional careers and higher education. Students who enroll gain key soft skills, like networking and teambuilding, along with hard skills through Peirce coursework, like business and IT knowledge along with customized training from Year Up and our corporate partners. Currently there are 33 students in the program completing internships with corporate partners such as Comcast, JPMorgan Chase, and Bank of America among others. Year Up, Philadelphia is slated to enroll 50 new and motivated students in the Fall. In 2014, we graduated two cohorts of 13 students from the Philadelphia program. 100% of graduates re-matriculated into college after graduation. About 40% of our 2014 graduates had job offers upon graduation, and Year Up works with the others to secure job opportunities. One of the more innovative developments is the launch of the anti-money laundering career track. We have a corporate partner that has a need in this area. They want us to bring them talented students that can learn and grow in this job sector. This new initiative, which was first piloted in Year Up, NYC, will combine training from Peirce, the Year Up program, and the corporate partner, and students will begin this program in the summer. Anti-money laundering deals with how an institution creates checks and balances to ensure that people aren’t committing a variety of fraudulent activities. This area of practice requires examining detailed public records, learning how to piece together information from disparate sources, the ability to synthesize, clear writing and communication, and, of course, acute attention to detail. We anticipate continuing to develop the Peirce-Year Up anti-money laundering initiative by learning what the corporate partner needs and how Peirce and Year up can respond to those needs by preparing students. If you’re interested in learning more about the Year Up – Peirce College partnership and how you can participate, you can complete an interest form online, contact the recruitment manager, Craig Smith at 215.670.9394, or visit the Year Up office in Alumni Hall. Many of us have a dream to advance our careers. Getting a better job with higher pay and greater responsibility can have such a positive impact on so many aspects of our lives, from enhancing personal value and self-esteem, to improving our lifestyle, to supporting our families, so they can achieve all they desire from life. The challenge then, is how does one formulate the goal for a more successful career, prepare for opportunity, and make that goal a reality? How does one find the right combination of inspiration and determination, and acquire the training, tools, and support to develop a realistic action plan and see it through to success? And, how does one do all this amidst a busy life—working full time, supporting a family, maintaining a household, and having a personal life and some fun along the way? 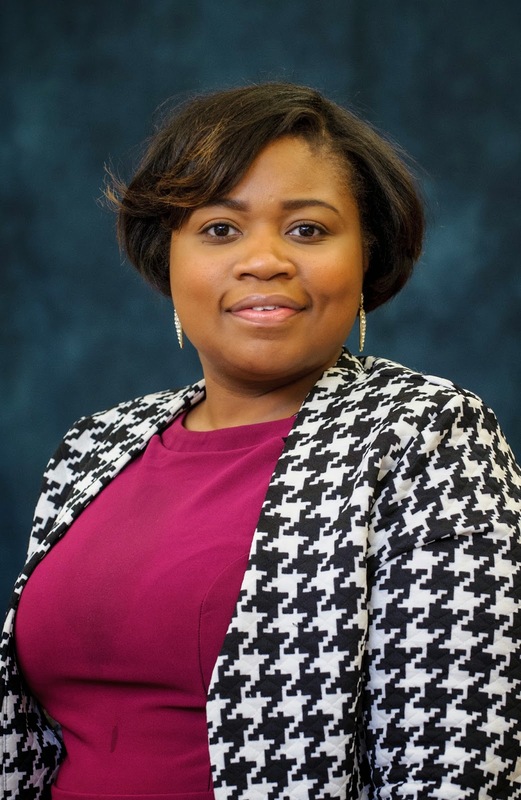 Career-minded professionals, Tia Hall and Timothy Roberts, found their solution to this challenge here at Peirce College. Both Hall and Roberts are preparing for new career opportunities by pursuing a Master of Science degree in Organizational Leadership and Management (MSOLM), which offers working adults a versatile set of real-world leadership and management skills, while providing the convenience and flexibility to fit college into a busy lifestyle. 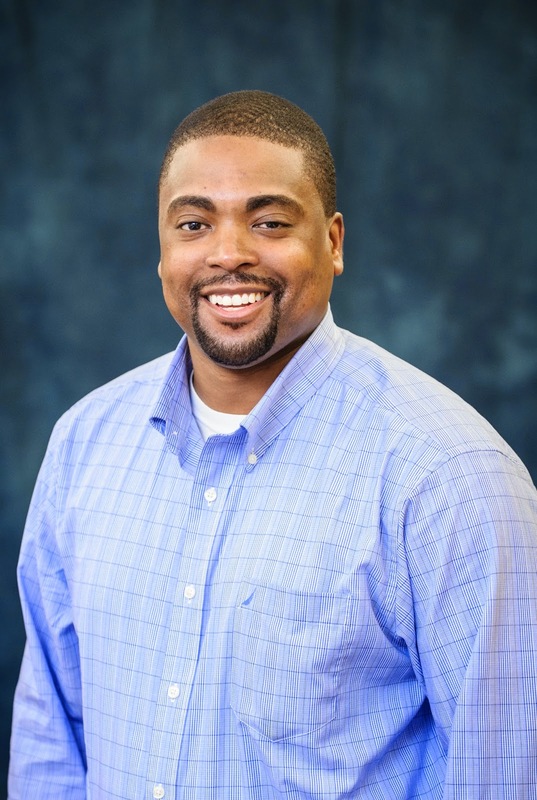 Hall works full-time as the Program Manager, Philadelphia Scholars Program, for the Philadelphia Education Fund. She is a single parent, raising a family of three children. 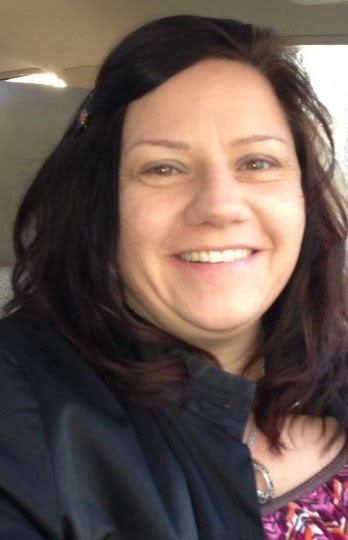 Roberts is a Budget Analyst and Program Manager for the City of Philadelphia’s Department of Behavioral Health. He is married, with two children. Like many working adults with families, Hall and Roberts had to weigh the time and commitment required to return to college against current responsibilities. This made the decision to get started on a master’s degree track a challenge of its own. Today, there is a broad range of choices for individuals planning for a graduate degree, or advanced career training. Convenience and flexibility, backed by a practical, career-oriented curriculum and a supportive staff, have made the Peirce Graduate Studies Program a standout choice in the greater Philadelphia area. 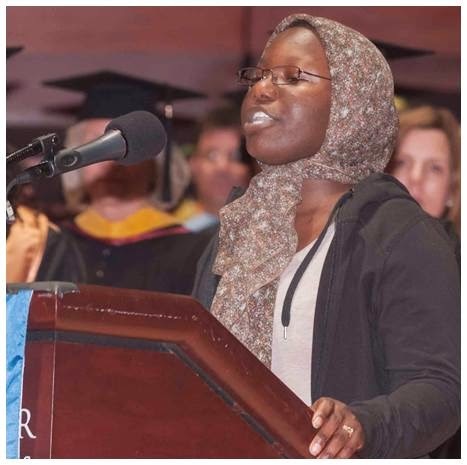 Hall explains that during her undergraduate studies she had only taken on-campus courses, so she wanted to start where she was familiar and then move to online classes. It was this flexibility that made Peirce a viable and valuable choice for her. While Peirce’s online classes offer extra convenience to easily incorporate college courses into a busy lifestyle, both Hall and Roberts have also found value in the Peirce on-campus experience. Robert’s participation in the MSOLM program has already led to a promotion at work. A position, he says, that would not have been available to him had he not been on track for his master’s degree at Peirce. “I would recommend the program to anyone who has a busy life,” agrees Hall. Tia and Timothy found a way to make their dreams reality and advance their careers. 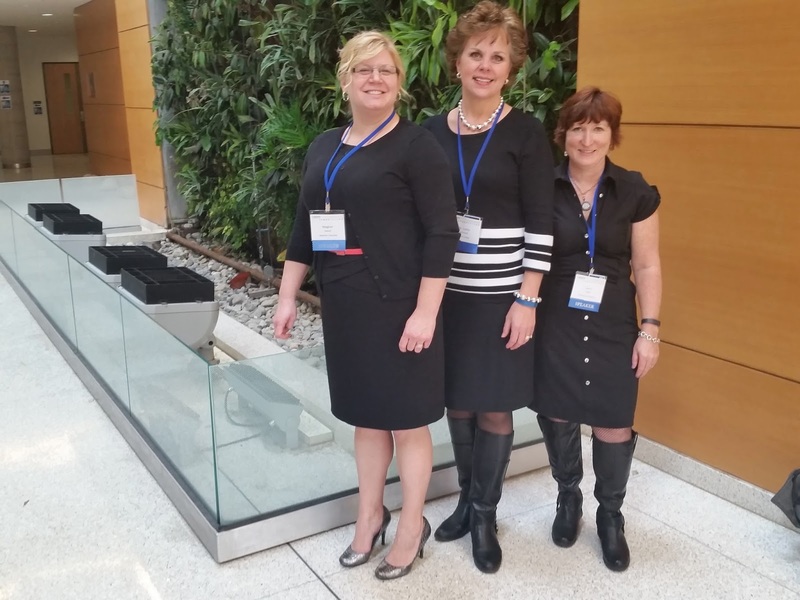 How can Peirce College help you prepare for your next opportunity? To learn more about Peirce College Graduate Studies and the Organizational Leadership and Management Master’s Degree Program, Give us a call at 215-670-9325, or visit us online at http://www.peirce.edu/MSOLM. Auditions are open for 2015 Peirce Idol! Prizes for all entrants! 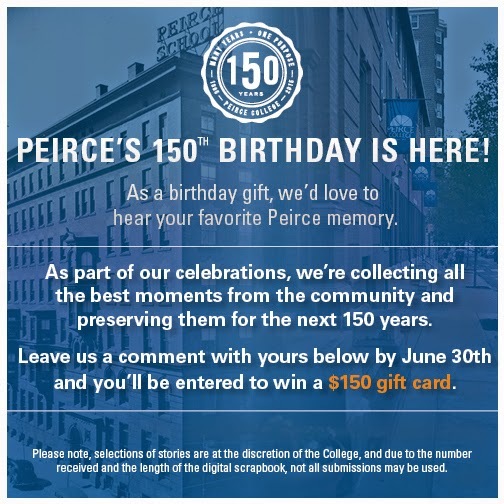 If you love to sing, want to represent your school, and would like the chance to win a $150 gift card, come out and audition to be Peirce College's 2015 Peirce Idol. We're selecting one lucky student from our student body to sing the national anthem at this year's 150th Commencement ceremony on June 11, and can't wait to see who comes out to auditions. It's easy to set up your time slot. Just email your name and phone number to us, and we'll set up your audition on Thursday, April 30. You'll sing before a panel of judges composed of Peirce faculty and staff. We'll also be recording tryouts so that your peers can watch, listen, and vote to choose their 2015 Peirce Idol for Commencement. Everyone who auditions will receive a Peirce prize pack and a $10 gift card to Starbucks. And the lucky student chosen to sing the national anthem at Commencement will also receive a $150 gift card. More details about where to watch the audition videos and the voting process will be coming soon here on the blog, so stay tuned! Thomas May Peirce founded Union Business College in one of the most notable years in United States history, 1865. On April 9th of that year, Confederate General Robert E. Lee surrendered to General Ulysses S Grant, ending the Civil War. 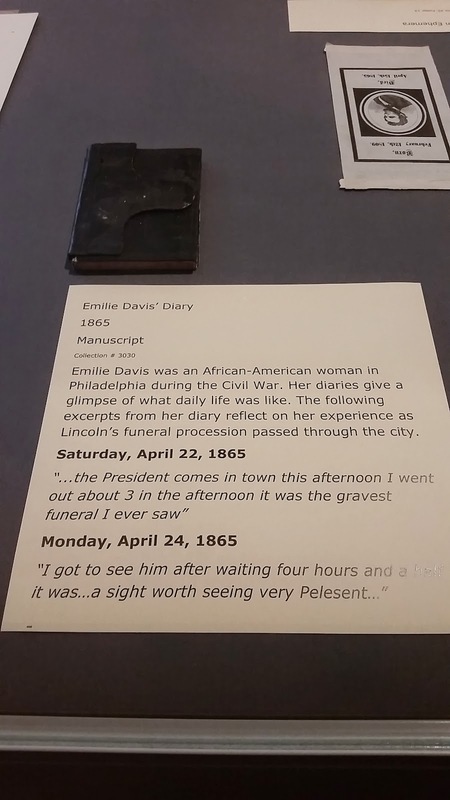 Just six days later, President Lincoln was assassinated at Ford’s Theater in Washington. 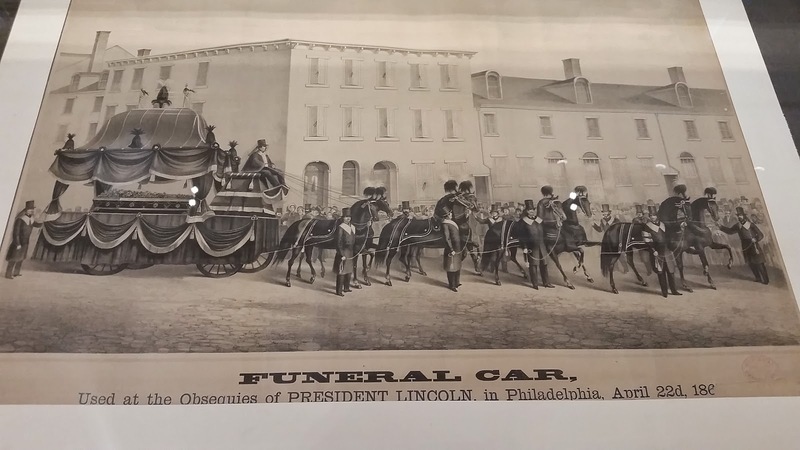 Philadelphia mourners came out to see the late President’s funeral procession as it passed through the city while an influx of soldiers returned from Southern battlefields. 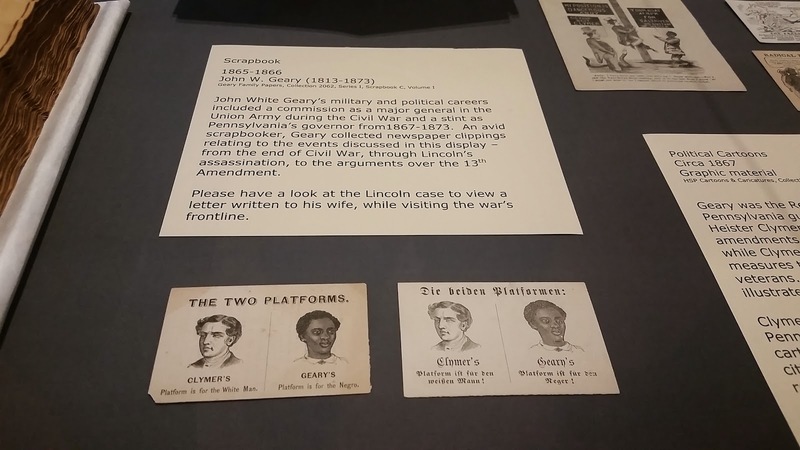 The Historical Society of Pennsylvania is documenting this historic year in a new exhibit, 1865: Eyewitness to History. 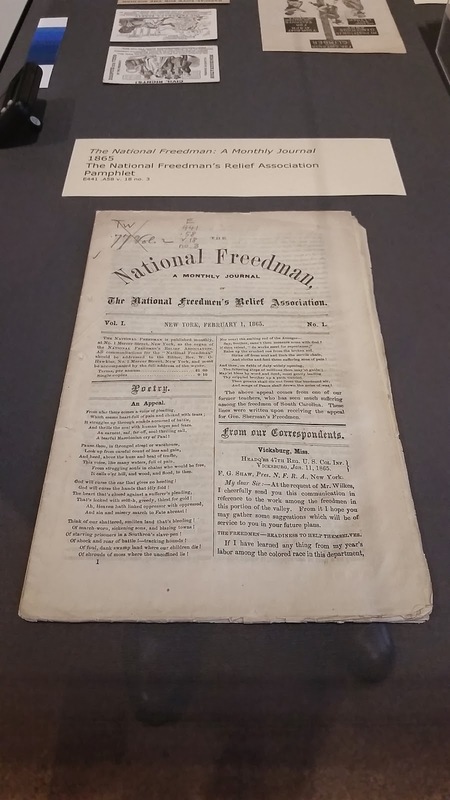 Prior to the exhibit, staff from the Peirce College Library discussed Peirce’s founding with HSP's Public Programs Manager Christopher Damiani, and we’ve loaned a few items to the exhibit which document Peirce’s role in helping Union soldiers transition from the battlefield. 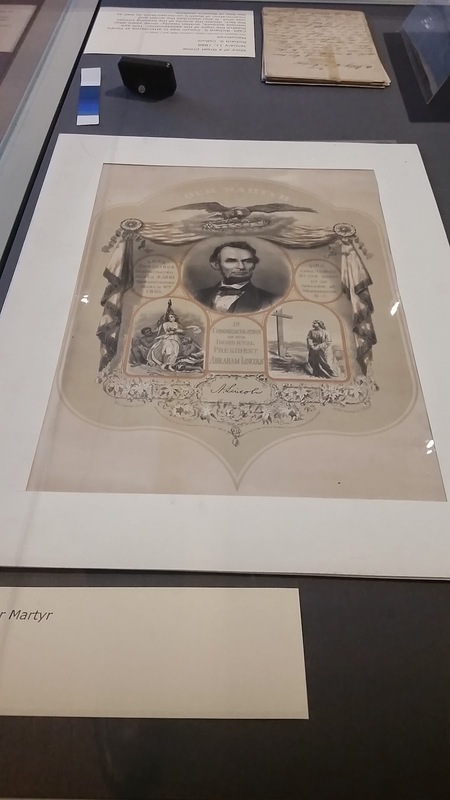 The exhibit contains four displays, each representing a significant topic or event from 1865. 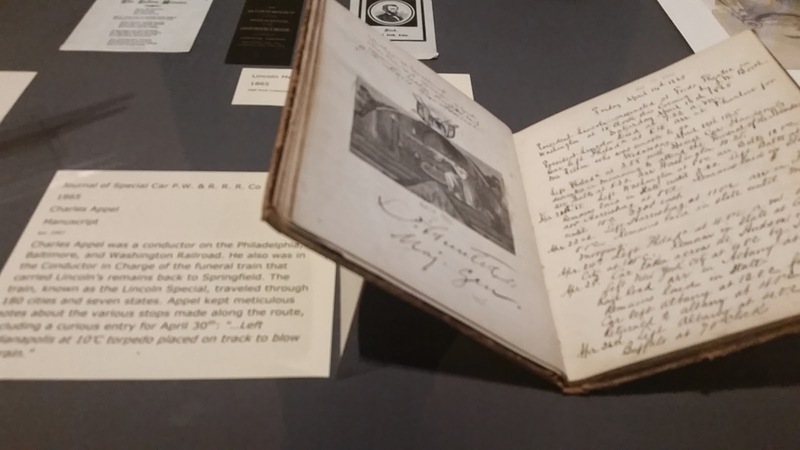 One display houses items related to General Lee’s surrender at Appomattox, another focuses on President Lincoln’s assassination, and a third describes the beginning of Reconstruction, with letters and diaries from soldiers and citizens from the Philadelphia region. 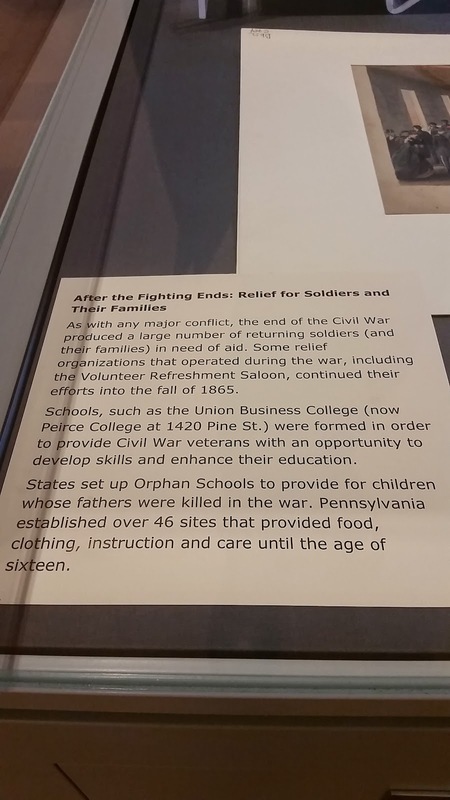 Peirce is featured in a display of organizations that helped soldiers and their families transition from the battlefield, as Thomas May Peirce founded Union Business College in order to provide returning soldiers with training for post-war business occupations. 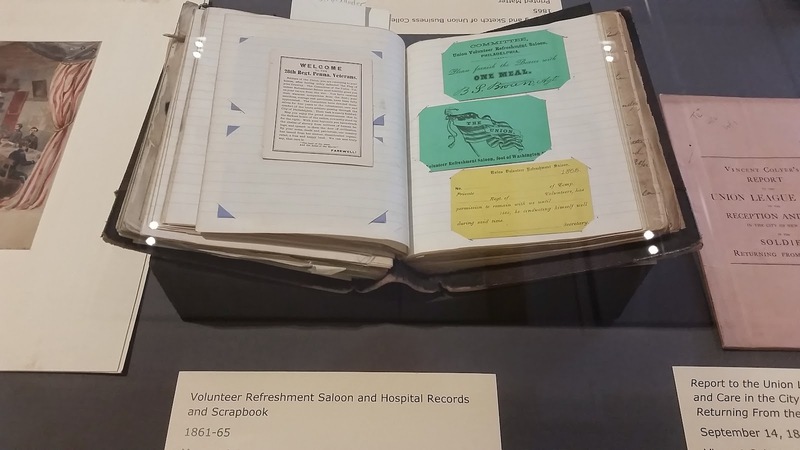 The display includes items from the Union League, various charitable and relief organizations, and related materials. Peirce is represented by an original course catalog from 1865 and a sketch of our first location at 9th and Spring Garden. 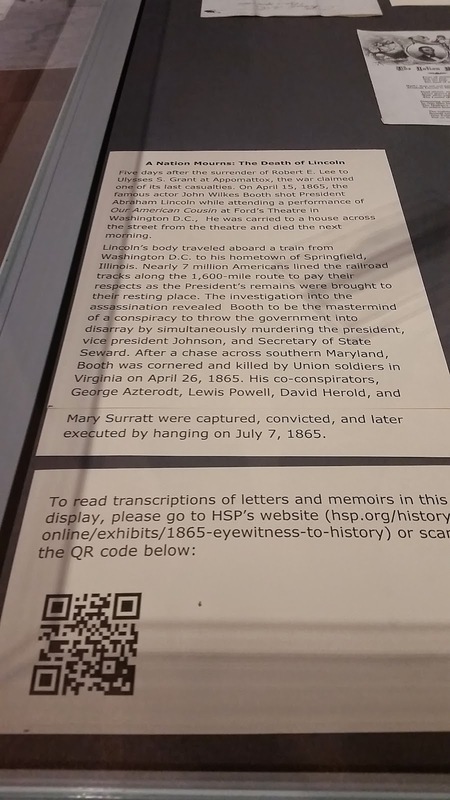 1865: Eyewitness to History runs through May and is free to the general public. The Historical Society of Pennsylvania is located at 1300 Locust Street. 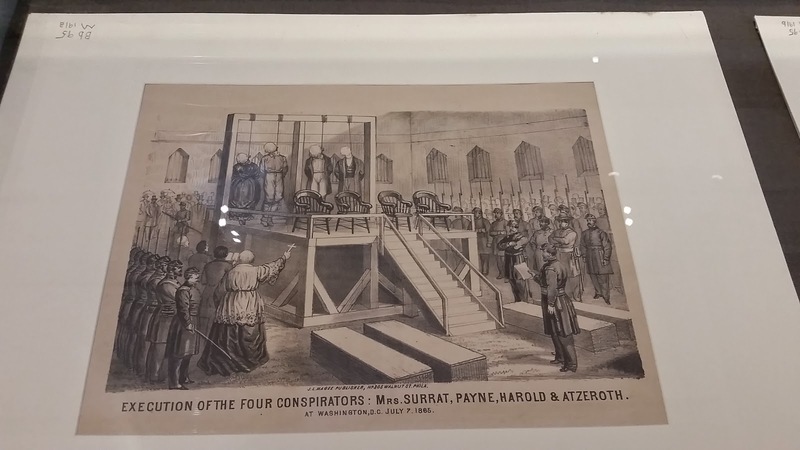 Peirce has long been an innovator in online education. Starting with a pilot in 1999 and rolling out full degree programs in 2000, we’ve continued to innovate and offer more classes and degree programs in a convenient format to help busy working adults achieve their dreams of earning a degree. As a result, we’ve been featured on U.S. News and World Report’s list of the best online bachelor’s degree programs for three years in a row. As more and more students continue to choose online courses to complete their education, Peirce remains committed to providing the best learning experience with the most convenient options. 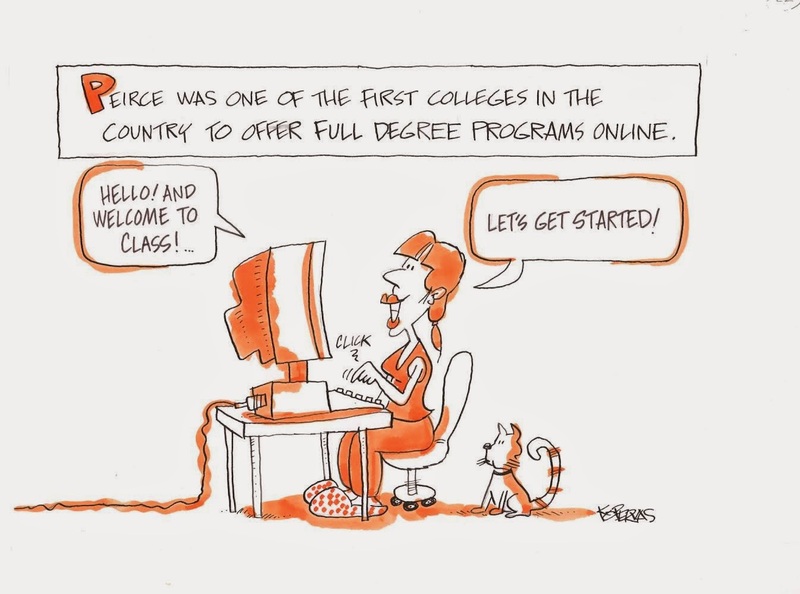 Currently, more than 7 out of 10 Peirce students are now enrolled in an online course. Some of them are choosing to take both online and on-campus courses, and some earning their associate, bachelor’s, and even master’s degree completely online! Best of all, the learning experience is the same whether you take courses online or on campus. You have access to your professor, online tutoring, and enjoy the same benefits Peirce offers to all students. Learn more about the Peirce online experience by watching the video below and visiting our Online at Peirce page on our website. Ready to take the next step? Contact the Admissions Office at 1.888.467.3472, ext. 9000 to get started with a Peirce associate, bachelor's, or master's degree online.